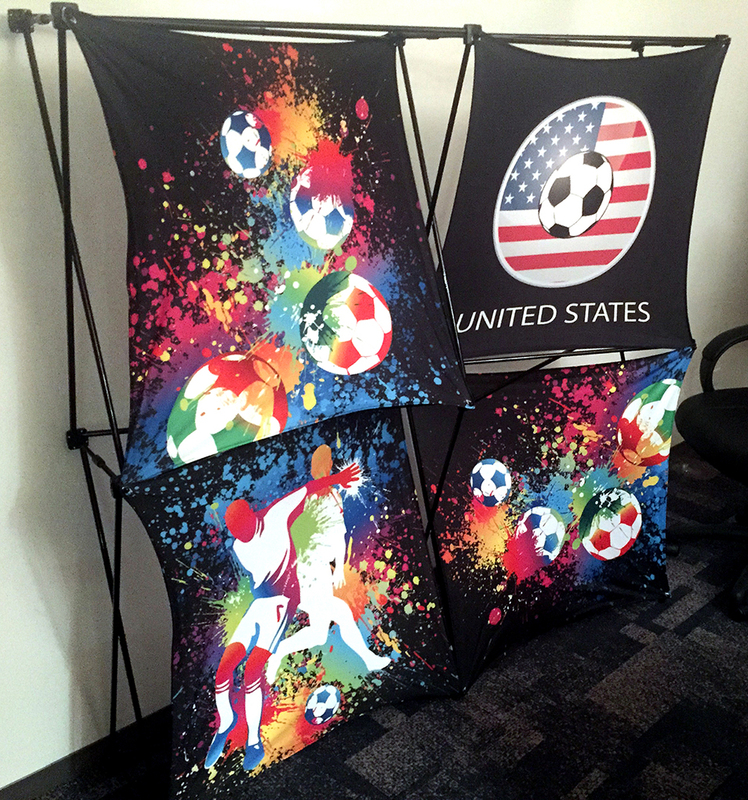 Gamma’s 3-D fabric display combines pop-up displays and dye sublimation fabric squares in almost any pattern, creating stunning 3-Dimensional trade show displays. 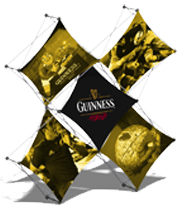 The tension fabric graphics are attached directly to the frame. 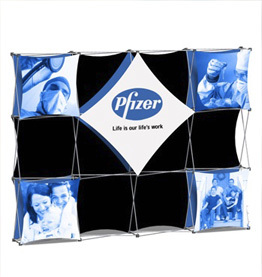 Leave them on the frame until you’re ready for a new trade show marketing campaign. 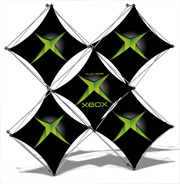 The 3-D fabric display uses frames constructed from ¼” aircraft aluminum tubing and high impact plastic hubs. The frames pop up and snap into place by several magnetic connectors. 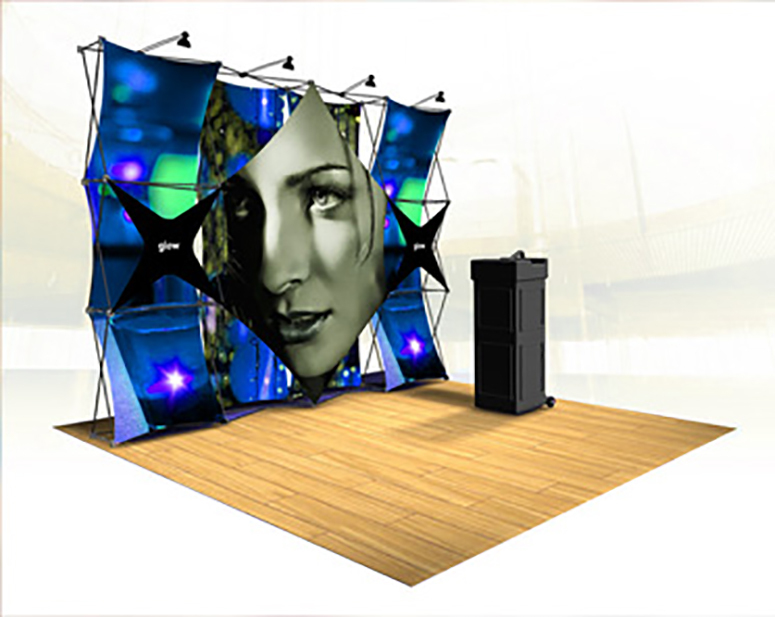 Since the fabric panels always remain on the frame these displays require zero assembly and set up literally in seconds. 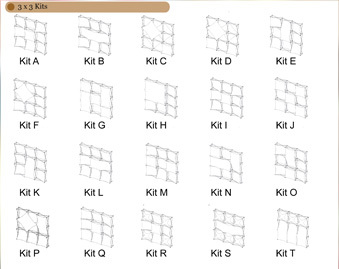 The Dye Sublimation graphics are durable, wrinkle resistant and machine washable. Fabric panel graphics cannot be scratched or dented.